In his first speech to the UN General Assembly, Mr Obama said global problems included nuclear proliferation, war, climate change and economic crisis. All nations bore responsibility for addressing these problems, he said. President Obama apologised for the perceived past inaction of the US in his speech. But he added that the US now sought "a new era of engagement with the world". — 465 words. Nicholas Thompson is a Senior Editor of Wired Magazine and the author of The Hawk and the Dove: Paul Nitze, George Kennan, and the History of the Cold War. Valery Yarynich glances nervously over his shoulder. Clad in a brown leather jacket, the 72-year-old former Soviet colonel is hunkered in the back of the dimly lit Iron Gate restaurant in Washington, DC. It's March 2009 — the Berlin Wall came down two decades ago — but the lean and fit Yarynich is as jumpy as an informant dodging the KGB. He begins to whisper, quietly but firmly. "The Perimeter system is very, very nice," he says. "We remove unique responsibility from high politicians and the military." He looks around again. Yarynich is talking about Russia's doomsday machine. That's right, an actual doomsday device — a real, functioning version of the ultimate weapon, always presumed to exist only as a fantasy of apocalypse-obsessed science fiction writers and paranoid über-hawks. — 3,259 words. Last year the United States pulled its Fourth Fleet out of mothballs, complete with battleships and aircraft carriers, and assigned it to cruise the Caribbean and the entire coast of South America. Under Bush it stopped sales of arms and arms parts to Venezuela. The evidence is clear that the US was involved in the failed coup to overthrow the democratically elected president of Venezuela, Hugo Chavez. Knowing the US penchant for offshore invasion from Cuba and Grenada, to Vietnam, Afghanistan and Iraq to name but a few, and its more than 100 military bases throughout the world, Venezuela, not to be disarmed by a Washington, then under the control of schoolyard bullies led by Bush and Cheney, looked around to upgrade its increasingly obsolete military equipment. — 963 words. Re: Remembering Grandpa, Friday, September 11. 2009: It is always nice to have and hold those memories that are just so dear to us, sometimes if only we could hold on just a little longer. Yes, I do like reading you in True North Perspective. Thanks. Re: Don't be fooled by The Secret, Friday, September 18, 2009: Just to let you know that I really enjoyed your article on The Secret. Certainly, I can agree that the way the book and the movie presented the law of attraction did not take into consideration many factors — including the perseverance of which you write. "Belief" that I can persevere with positive outcomes has always assisted me in achieving my goals. OTTAWA, Canada — There is a major affordability gap between Canada's richest and poorest households, says a new Canadian Centre for Policy Alternatives study released today. — 324 words. For those of us who grew up with textbook images of the Canadian Prairies as the "breadbasket of the world," Cedar Isle Farm is a gentle shock. Here, golden wheat fields spread not to some flatland horizon but toward the steep flanks of the Canadian Cascades. All around are dark forests and the big-easy backwaters of the Fraser River. Nothing fits with expectations, yet on this family farm an essential part of our national food history is coming full circle. — 1,980 words. We are sitting at the kitchen table of a quiet adobe house in the desert just above the town of Andalgalá in remote Catamarca, north-western Argentina. Seventy kilometres to the west, Alumbrera mine is in full operation, digging into the ground 24 hours a day. Alumbrera, from the Spanish alumbrar — to illuminate — was sold to the people of Andalgalá on the promise of bringing light to the little village. There would be modernisation: new hospitals, schools, jobs and even a farfetched town-wide WiFi network. — 2,591 words. The case baffled Brandon police for months. Parents in the quiet prairie city were reporting unexplained bumps, bruises, even broken bones among teenaged boys. On Monday, after one teen's debilitating injuries landed him in hospital, police finally cracked the case. — 645 words. Odds are if you went around announcing the death of Norman Borlaug, most people would look at you in puzzlement. Yet he lead a revolution in agriculture that gave millions of hungry people around the world the ability to feed themselves and many others without putting a lot more land into production. He led the way in developing farming practices that in today's parlance would be considered leading edge green. — 527 words. If awards reflect success, the Richmond Olympic Oval has already triumphed. The $178-million speed skating venue on the banks of the Fraser River, considered by many to be the crown jewel of the 2010 Games, opened less than a year ago but has already captured an armful of awards and more could be on the way. — 641 words. Canadian businesses are lagging behind their peers in other developed countries when it comes to advertising online, according to one of Google's top executives. — 436 words. Children's menu items at popular restaurant chains across Canada contain dangerously high amounts of sodium — in many cases, enough to raise a child's risk of developing high blood pressure, cardiovascular disease and other serious health problems. — 448 words. Let's start with a thought experiment. Suppose you managed to find some children who knew nothing about the oceans, handed them a long measuring stick and sent them off to the seaside find out whether sea level is rising or falling. As soon as they saw the waves crashing on the shore, the children would realise they had been set a tricky task: how do you measure sea level when it is constantly changing? — 734 words. The massive ice sheets that cover Greenland and Antarctica are thinning rapidly, say British researchers who have analyzed 50 million laser measurements from a NASA satellite. — 229 words. A surprising amount of water has been found to exist in the Moon's soil. Data from three spacecraft, including India's Chandrayaan probe, shows that very fine films of H2O coat the particles that make up the lunar dirt. The quantity is tiny but could become a useful resource for astronauts wishing to live on the Moon, scientists say. — 813 words. Fresh meteorite impacts on Mars have revealed water ice under the surface far closer to the Martian equator than astronomers expected to find it. The new craters, found about halfway between the planet's north pole and the equator, revealed bright deposits of ice that may be 99 per cent pure. — 547 words. A campsite manager, Heinz Ludwig, aims to establish Germany's first official naked ramblers' footpath — an 18km (11-mile) route in the Harz Mountains. — 204 words. President Barack Obama's scuttling of George W. Bush's plan to deploy a missile-defense system in the Czech Republic and Poland—or, more particularly, the way he scuttled it—amounts to a remarkably shrewd bit of politics and statesmanship. — 1,609 words. Is the Afghan Army a figment of Washington's imagination? 'One small warning: Don't take the insecurity of the Afghan security forces as an argument for sending yet more American troops to Afghanistan. Aggressive Americans (now numbering 68,000) are likely to be even less successful than reluctant Afghan forces. Afghans want peace, but the kharaji (foreign) troops (100,000, if you include U.S. allies in NATO) bring death and destruction wherever they go. Think instead about what you might have won — and could stildowl win — had you spent all those military billions on food. Or maybe agriculture. Or health care. Or a civilian job corps. Is it too late for that now?' — 3,067 words. A heavily intoxicated man decided to push his car all the way home in Tianjin municipality, fearing he might get arrested for drunken driving, last week. However, while passing through his neighbor's home in Baodi, the man collapsed and passed out beside his car. NEW DELHI, India — The Ministry of Tourism, the Government of India in association with the Indian Mission in Russia and the Experience India Society will organise Incredible India Events in Russia from October 22-27 as part of celebration of the "Year of India in Russia". — 340 words. ANDERMATT, Switzerland — Russian President Dmitry Medvedev, pressing the case for a new European security pact to replace NATO, said Russia's historic role in creating Swiss neutrality showed that it could play a positive role in Europe. — 366 words. Nearly three months after being overthrown by a violent military coup, Honduran President Manuel Zelaya has returned to Honduras. "I am here in Tegucigalpa. I am here for the restoration of democracy, to call for dialogue," he told reporters. The embattled road to his return tested regional diplomacy, challenged Washington and galvanized Honduran social movements. — 2,719 words. 'You get pregnant, you give birth. When they wake in the morning, the women try to steal a few moments of peace for themselves before the children rise. They drink tea, not coffee. Before it's allowed to pass their lips though, they spend a few quiet minutes kneeling, their foreheads pressed down onto colourful prayer mats. When the carpets are rolled up, the predictable family frenzy of morning begins — even in Kandahar. — 988 words. A Moscow court has sentenced members of a youth gang to jail terms of up to 10 years for a spate of brutal attacks on foreigners. — 182 words. So, Stephen Harper and his ministers were defending possible war crimes and crimes against humanity, while Michael Ignatieff and senior Liberals were staying mostly mum. And much of our mainstream media were averting their gaze from, or excusing, the possible crimes. — 639 words. Barack Obama has demanded the Pentagon conduct a radical review of US nuclear weapons doctrine to prepare the way for deep cuts in the country's arsenal, the Guardian can reveal. — 883 words. WASHINGTON — Women are getting unhappier, I told my friend Egbert. "How can you tell?" he deadpanned. "It's always been whine-whine-whine." "Because you care," he replied with a mock sneer. "You have feelings." Oh, that. — 776 words. Colombian Juanes arrived on the stage of the Peace without Borders concert via his own initiative. He was received with an ovation and the unrestrained enthusiasm of young people for whom the sun was no obstacle (and thanks for the afternoon clouds). — 284 words. So Justin Fox reports that Chicago really, really didn't like my article. Surprise. What I think you have to understand here is that for a long time — in fact, for three decades — the Chicago position has been that Keynesian economics was nonsense that has been utterly refuted. — 406 words. One day my father came home from the office with a large piece of heavy paper. He also unpacked a bottle of black ink and a pen with a fat nib. After supper he unrolled the paper on the dining table and began drawing lines, squaring its surface. Into the spaces he inscribed numbers which turned out to be times tables to put on the wall of my room to help me memorize them. I was having some considerable difficulties with arithmetic at school and father intended to help me with my problem. I recall staring with some puzzlement at this chart. His artwork was magnificent but its efficacy was less than successful. I remember his frustration at my efforts. — 1,153 words. What creature comfort would you miss the most? We have all heard of Ingrid Betancourt's six and a half years of captivity in the Colombian jungle where she was isolated, humiliated and neglected by her captors. She suffered both physically and mentally, never knowing whether she would survive this ordeal. Tied for hours on end to a tree, she endured hunger, intense heat and horrible sanitary conditions. — 681 words. 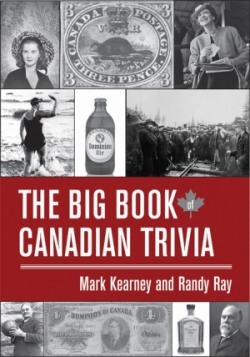 Every Friday in this spot True North will feature a book by a Canadian writer. The presentation will not be a review. It will include a profile of the author written by him/herself and about the product of the author's literary labours. If a reader wants to file a review we'll publish it. Today we present 7 Steps to Real Estate Riches, by Jim Pellerin. — Geoffrey Dow, Managing Editor. Barack Obama must see Michael Moore's new movie (and so must you)! Michael Moore has proven again and again that he has a remarkable feel for where the zeitgeist is heading. He's like a zeitgeist divining rod. Roger and Me was way ahead of the curve on the collapse of the auto-industry. Fahrenheit 9/11 was way ahead of the curve on the collapse of the house of cards the Bush administration used to lead us to war in Iraq. Sicko was way ahead of the curve on the collapse of the US health care system. And now, with his new movie, Capitalism: A Love Story, he is riding the wave of the collapse of trust in our country's financial system. — 1,203 words. BEIJING (Xinhuanet) — U.S. actress Mackenzie Phillips said in an interview with chat show host Oprah Winfrey that aired on Wednesday that she had an incestuous relationship with her father John Phillips, the late singer with 1960s band The Mamas & the Papas for years. — 387 words.